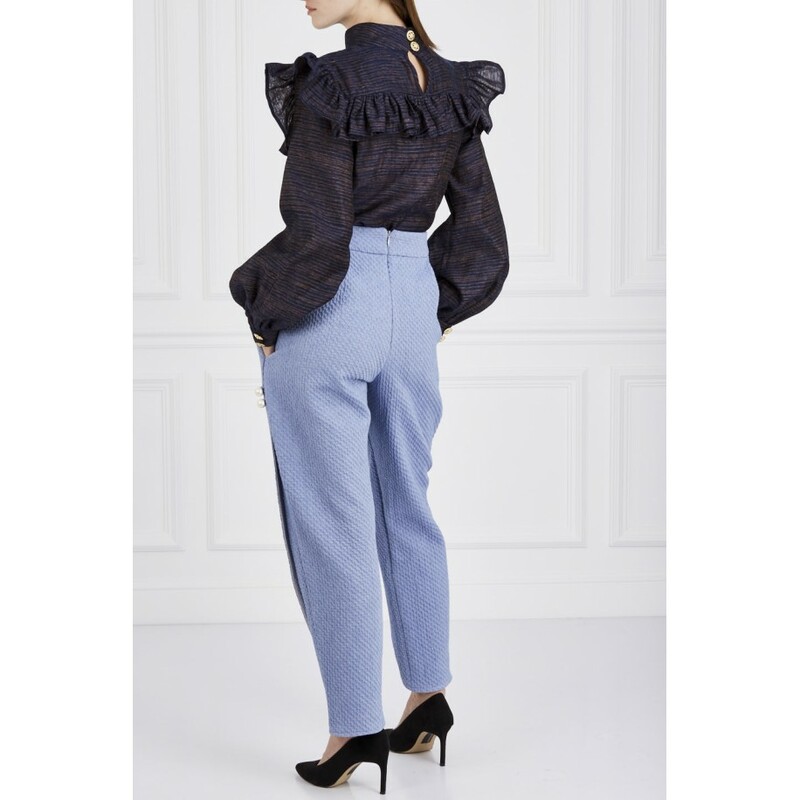 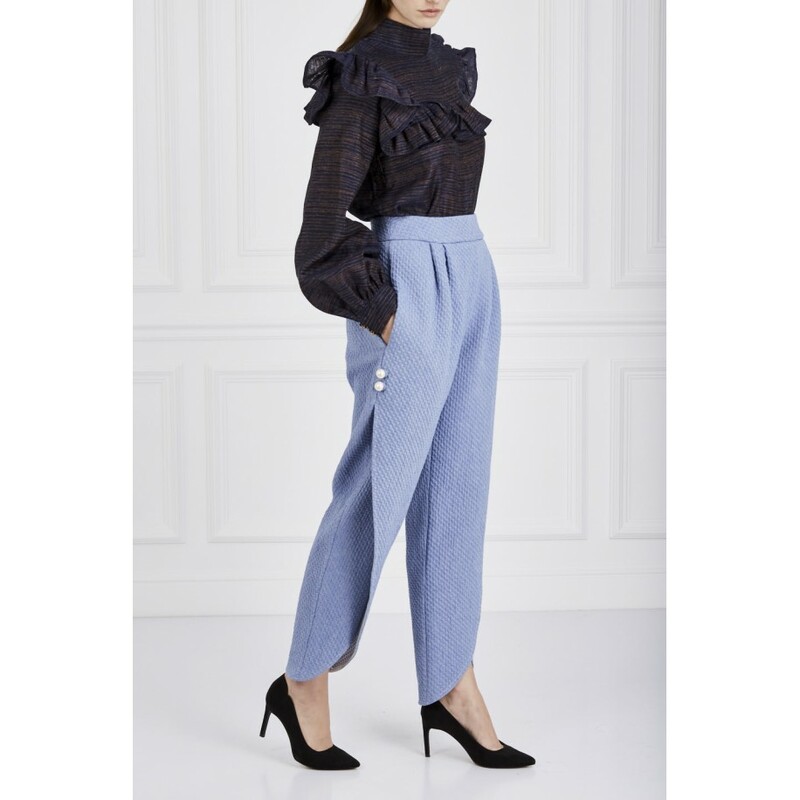 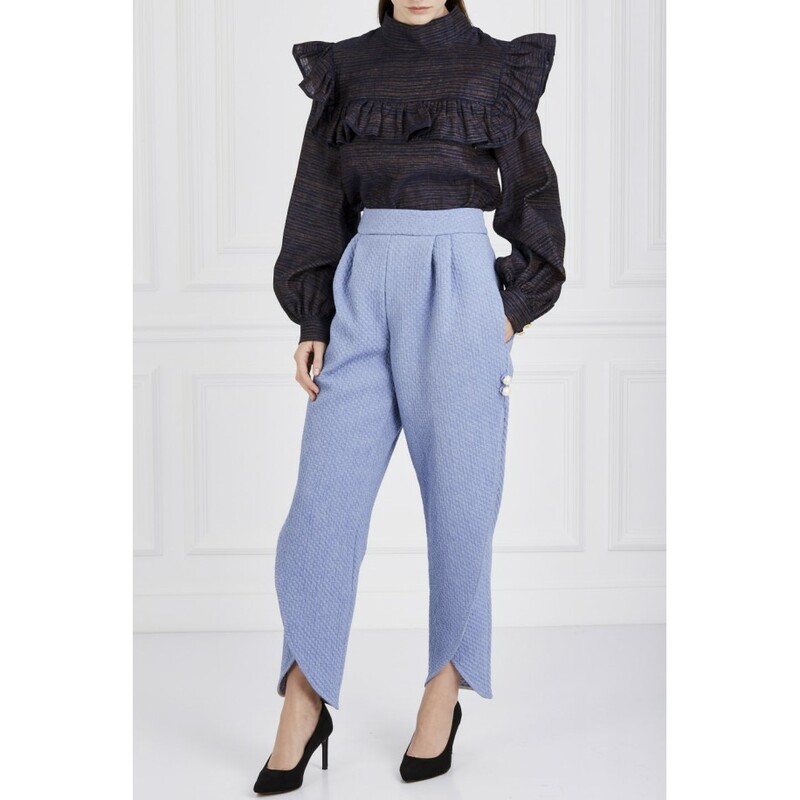 An elegant women's blouse with puffed sleeves, flounce, and high collar AW17 LOOK 07 Poca & Poca refers to volatile beauty of flowers and butterflies. 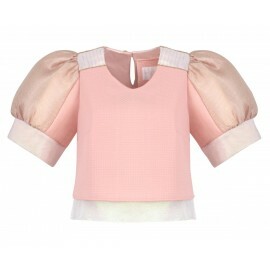 Made of pleasant to the touch fabric in navy blue and pink, it is perfect for work and ceremonial meetings. 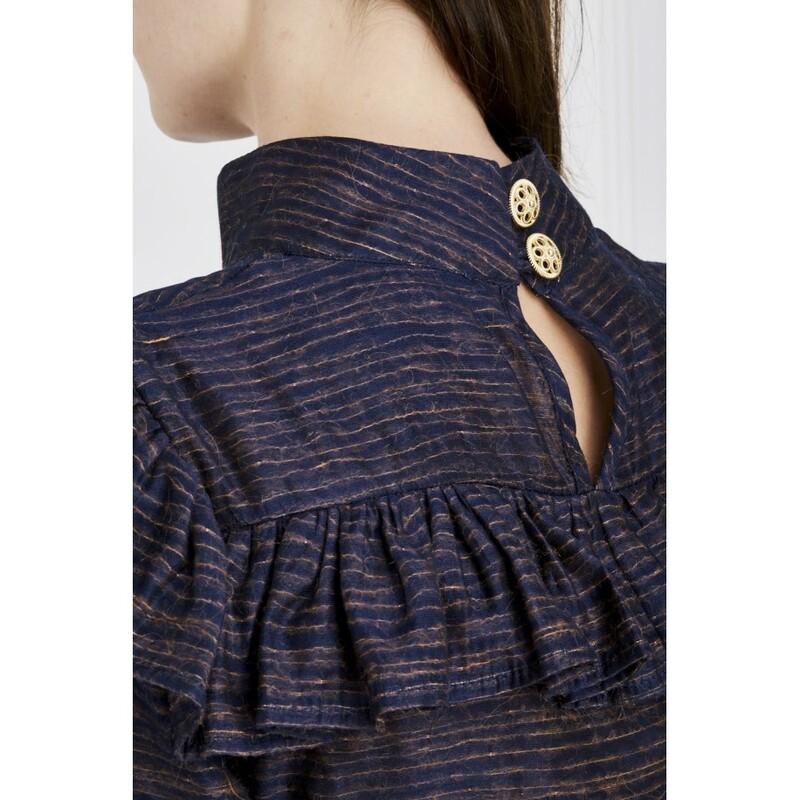 The classic fashion is completed by refined stand-up collar. 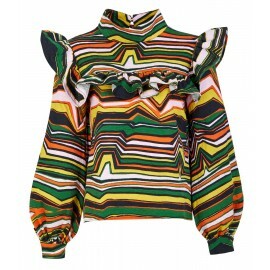 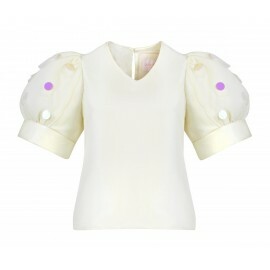 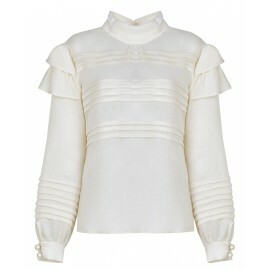 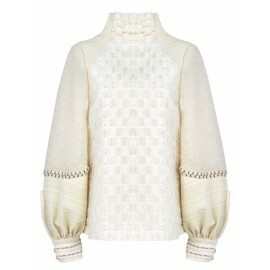 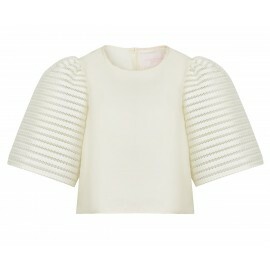 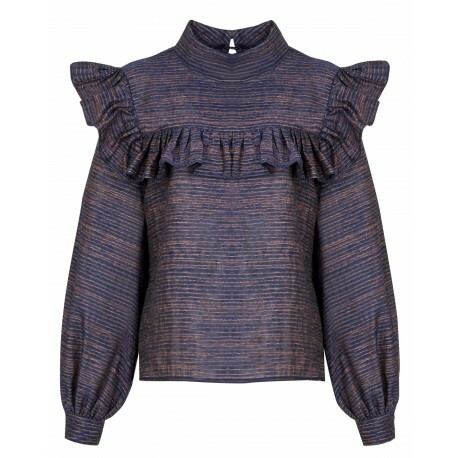 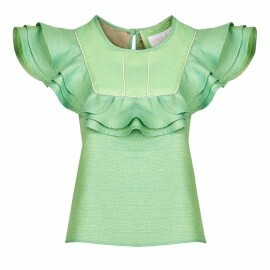 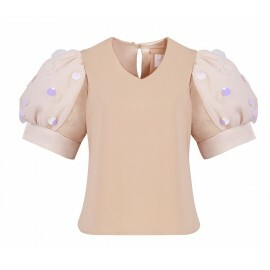 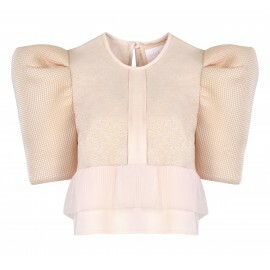 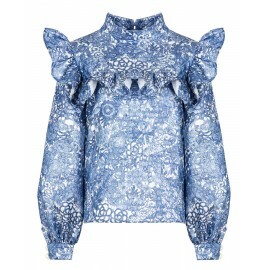 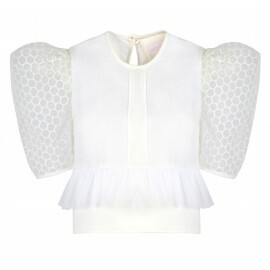 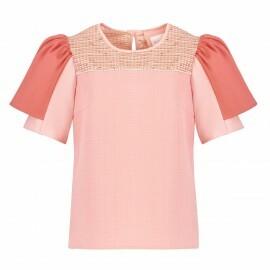 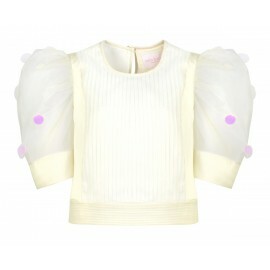 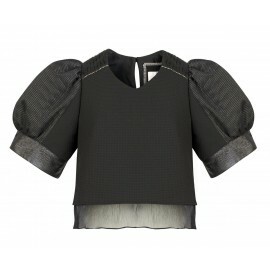 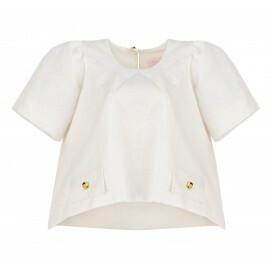 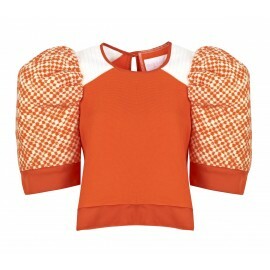 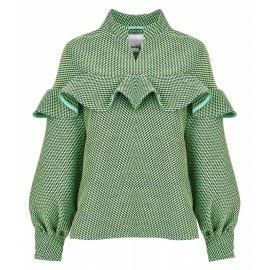 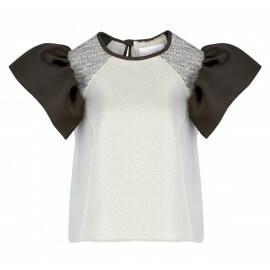 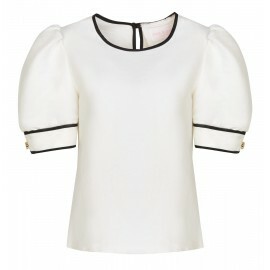 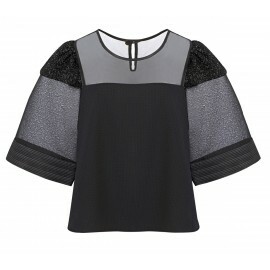 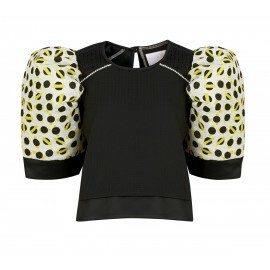 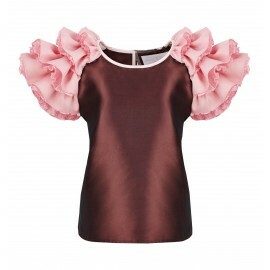 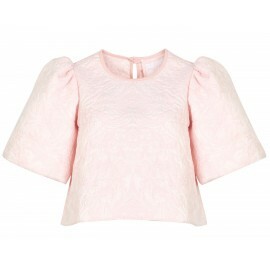 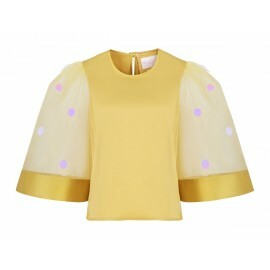 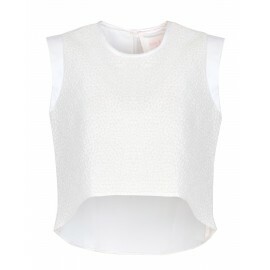 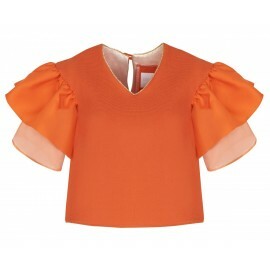 A charming flounce and long, puffed sleeves with cuffs fastened with golden, lace buttons add lightness to the blouse.